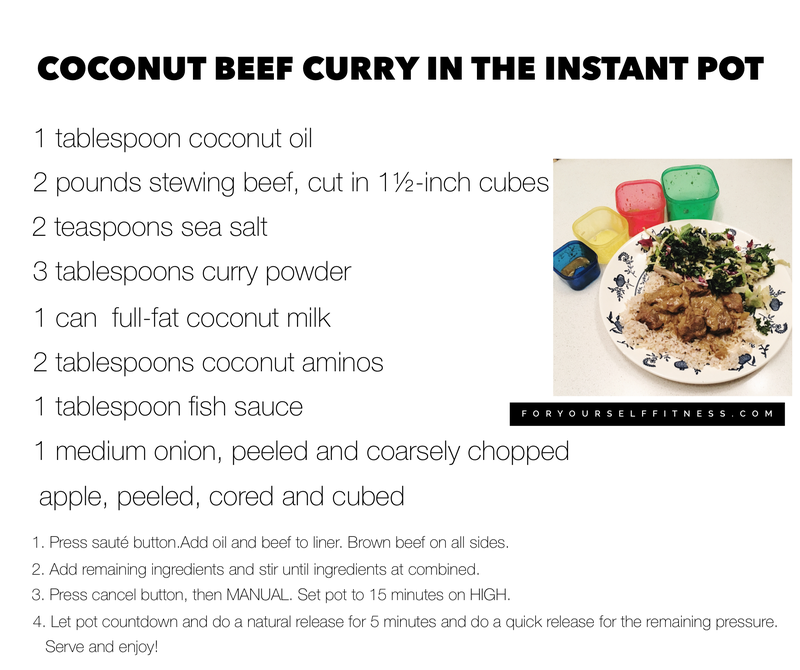 I posted a picture last week on my Facebook of some wicked awesome coconut Curry Beef I made in the Instant Pot. I love my Instant Pot. It has really changed the way I cook food. Like, hello? How else can you cook a whole FROZEN chicken in less than a hour? Being a working mom, having meals I can set and forget and have ready in minutes is soooo important to me. I’ll share more IP love with you all next time, but for now, I want to be good with my word and share my recipe with you!